The best of both worlds: a thin condom and a ribbed condom combined into one to provide both partners with more sensation. 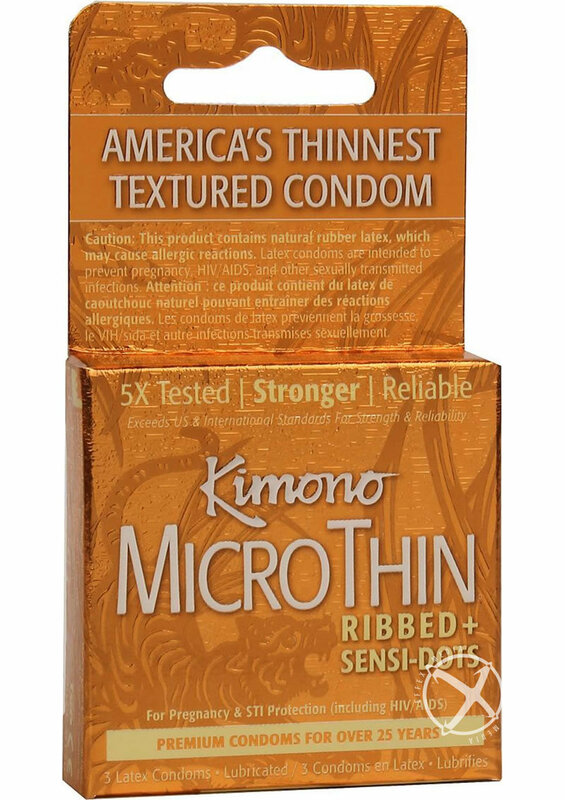 Kimono MicroThin Ribbed includes dozens of ribs and hundreds of Sensi-Dots to increase friction and provide more stimulation for her. Don't feel left out, we've made this ribbed condom more thin, so you can both enjoy a sensational moment. To complete the unique experience, Kimono MicroThin Ribbed comes in a fun green color.